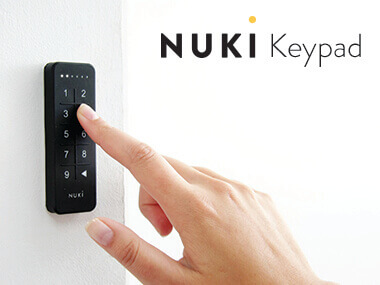 Nuki » Blog » Nuki News » The Nuki Keypad Airbnb integration has arrived! The Nuki Keypad Airbnb integration has arrived! You’ve all been there: Guests don’t manage to get to your apartment at the prearranged time, sometimes, they’re even delayed for an indefinite period. This is particularly problematic if they already planned to arrive quite late on in the day in the first place, meaning that you can’t get to your guests at all. That’s why we introduced Nuki’s official partnership with Airbnb around nine months ago. We want to get rid of time-consuming key handovers altogether and give you more flexibility in your day-to-day life as an Airbnb host. Now, you can give your guests an automatically generated access authorisation that is unique to each booking period. Things have been moving forward since April, however, and the Nuki product portfolio has subsequently been expanded with the introduction of a key component in the form of the Nuki Keypad . The Nuki Keypad guarantees convenient access via a 6-digit access code – without the need for an app or smartphone. We present to you: Airbnb Comfort Check-in 2.0! Needless to say, we understand that guests can sometimes be reluctant to install yet another app onto their phones, and that some guests might prefer to keep their smartphone out of sight during their holiday. This inspired us to refine our Airbnb integration and add the keypad as a new option to hand over the keys. As soon as you add a Nuki Keypad to a Smart Lock linked to Airbnb, your guests will receive an individual, 6-digit access code which is only valid during the booking period. In addition, they will also receive an invitation code for the Nuki app. Your future guests can now access their apartment without the need for a key or a smartphone. With the Nuki Bridge, you as the host can still manage all access codes remotely. This is particularly useful if you want to continue to allow guest access beyond the check-out time specified on Airbnb. And if guests forget their access code, you can easily access the code through the Nuki app and send it to them via text message, the Airbnb app, or email. 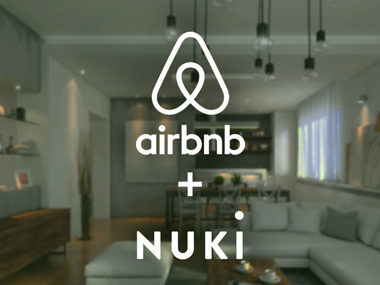 Make use of the cooperation between Nuki and Airbnb to provide a convenient 24/7 check-in service; late arrivals will never be a problem again. Rushing out in the middle of the night for a quick key handover is a thing of the past; instead, simply welcome your guests the next morning and introduce them to your smart apartment.